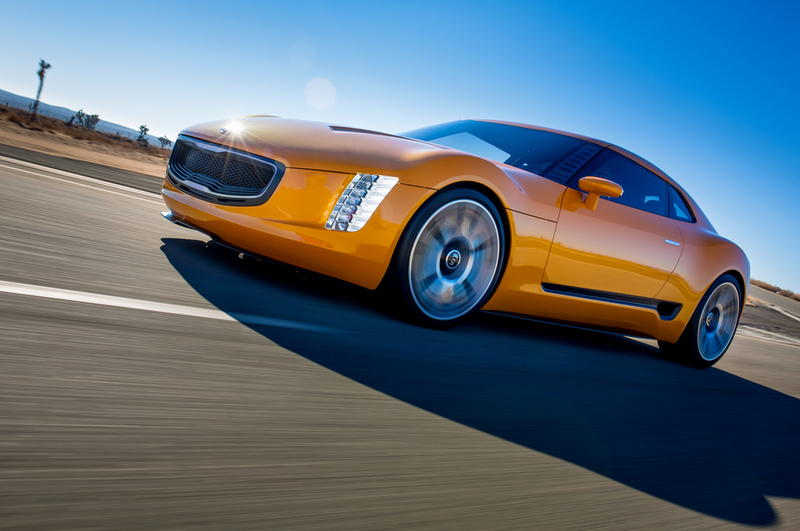 According to AutoExpress interview with Kia Designer Tom Kearns, the Kia GT4 Stinger concept, unveiled at the Detroit Motor Show, could be on sale by 2016 and be priced under £30,000. The GT4 Stinger concept sits on a rear-wheel drive platform and features a 311bhp turbocharged version of Kia’s 2.0-litre T-GDi. If it makes production, it’s likely to use a platform from within the Hyundai-Kia Group, possibly from the Hyundai Genesis Coupe.